Avoiding risks and recovering from the unexpected is a key part of running a business. With all of your responsibilities, heating and air conditioning might be one thing that you’re ignoring. If you are having the air conditioner in your Longview, Texas home tuned, don’t forget about the commercial HVAC equipment that keeps your employees and customers comfortable. Regular maintenance has many benefits. When your HVAC system performs properly, everyone will be comfortable and your indoor air quality will be better too. You will minimize the need for repairs and your equipment will last longer. 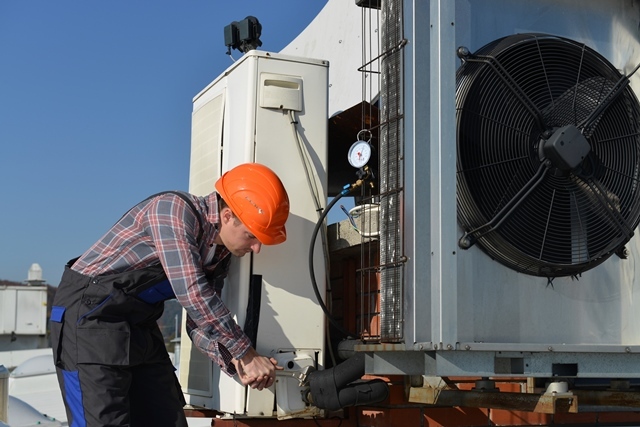 A seasonal checkup can help you to avoid these problems with your commercial systems. It is best to avoid these and other problems by scheduling maintenance twice each year. It is recommended that your HVAC equipment should be serviced once in spring to prepare the unit for summer, and then again in fall to ensure the heating system can stand up to the rigors of winter. For a business, reputation is everything. Customers, employees and tenants won’t notice if your business is adequately air conditioned, but everyone will be aware if the space is uncomfortable. Regular tune-ups benefit you by satisfying your patrons and minimizing unexpected business expenses. Budgeting for a tune-up in the spring and fall is easy. Paying for major repairs or learning that you need to replace your commercial HVAC equipment won’t make for a good day at the office. Skipping preventive maintenance costs thousands more in the long run. When you assess the cost and inconvenience of a sudden breakdown, preventive service makes good business sense. You’ll reduce on-site energy use, avoid frequent repairs, and help your equipment reach its estimated lifespan of 20 years. Our NATE-certified technicians are trained to service rooftop package units and all types of commercial heating and cooling systems. We maintain HVAC equipment in office buildings, factories, medical facilities, retail outlets, and restaurants. To learn more about the commercial HVAC services offered by JD’s A/C, call 903-374-4012 today.